What does the future hold for the digital age of recruitment and staffing? Have paper resumes been replaced with digital submissions, complete with URLs and video? Not entirely, but based on the acceptance of alternative methods to showcase your talent, the future of job applications might rely on the proper use of tech-savvy techniques to get you noticed. What might we find more of in the future? YouTube resumes: Video resumes are currently being uploaded by many. What are the advantages? Employers can view how you present yourself and your mannerisms – which is such a valuable component to the job pre-screening process. Also, if you’re looking to get into broadcast journalism or graphic arts, this type of resume will showcase your skills with video editing, script writing and presenting – so you’re set on the right path to discovery if you adopt this alternative. Social media focus: For those looking for a job in social media management, your personal Twitter, Facebook, and LinkedIn accounts are reflective of your capabilities to manage these tools effectively. Flex your media muscles to land the job of your dreams. 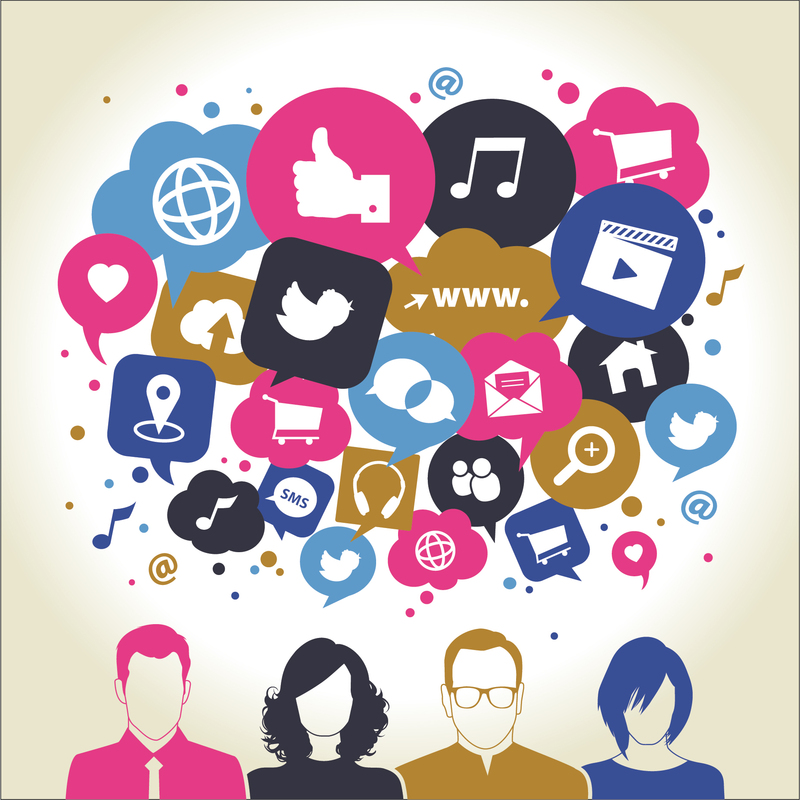 Employers are looking to see what kind of content you use – not just how you use it. Be prepared to be scrutinized over each message you send, which includes an investigation into seeing if you’re following proper protocol and procedure. Short and sweet resumes: Communication has been reduced to character limitations and quick news feed scans, so if you have a point you’d like to make, you better get to it quick! We’re consuming media in large quantities and we’re doing it quickly – the shorter you can make your job descriptions the better. More Illustrations in resumes: Charts and graphs are the new eye-catchers. 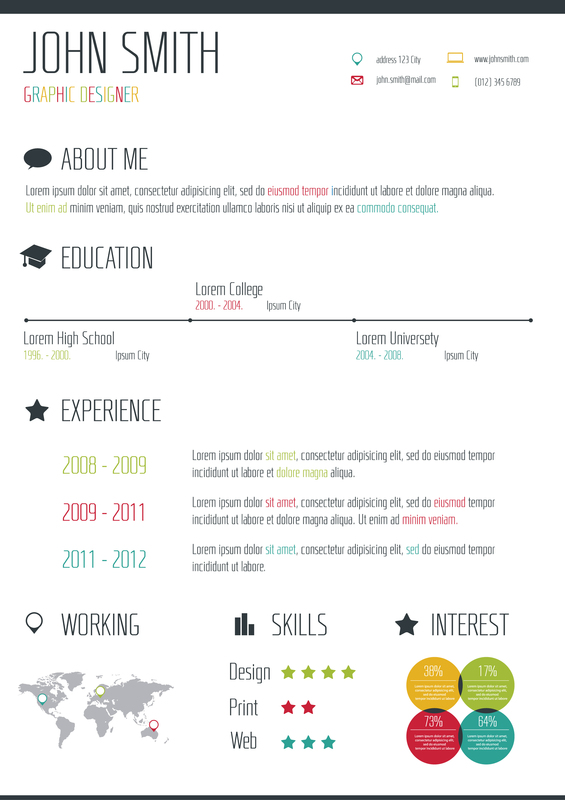 Forget about thick, fancy stock and font as a way to make resumes stand out. Pops of colour, illustrations, and images are what get people noticed! Use of tools to present: Don’t know how to make your resume pop using the tools you already possess? Try something like Visualize Me which takes your experience from your LinkedIn account or resume and transforms it into a visual masterpiece complete with graphs and vivid colours. Another tool you can try your hand at is Prezi, a tool that turns content into animated presentations/slides.